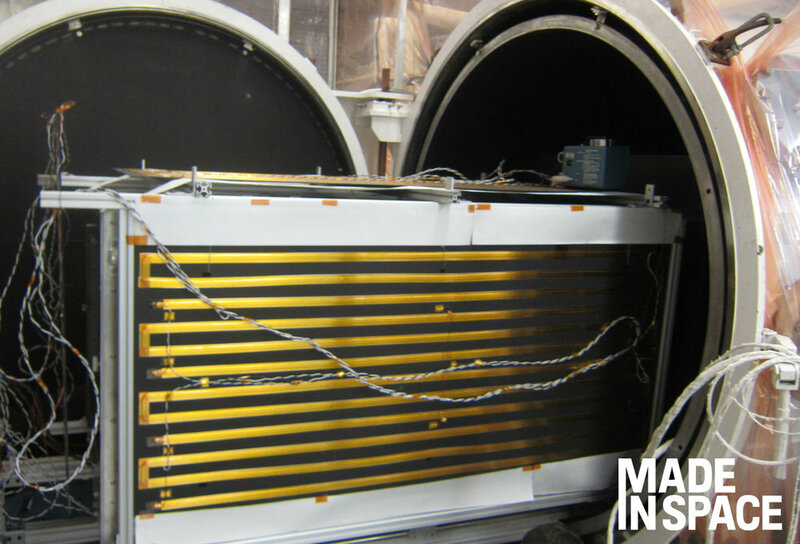 Made In Space, Inc. (MIS) announced today that it is developing an in-space manufacturing system to enable precision long-baseline interferometry missions. As part of a NASA Tipping Point contract, Made In Space, Inc. (MIS) has reached a significant milestone for their Archinaut program by successfully demonstrating its additive manufacturing and robotic assembly capabilities in a space-like environment. MIS’s Luxembourg operations will focus on bringing low-cost robotic systems to the European market. Luxembourg was a strategically chosen location due to its proximity to both excellent robotics talent and successful European aerospace companies. Made In Space is developing power systems for small satellites that will provide large satellite power, which will significantly increase small satellites’ capabilities on orbit. NASA has invited Made In Space to submit a proposal for a technology flight demonstration mission (Phase II) of its Archinaut technology. Archinaut is an in-space robotic manufacturing and assembly platform capable of constructing space-optimized systems of sizes not previously feasible. Made In Space has been selected for a NASA contract to further develop its next-generation metal space manufacturing system known as VULCAN. The VULCAN system will fabricate precision parts made of aerospace-grade metals such as titanium and aluminum, as well as high-grade polymers and hybrid components that combines multiple materials. Made In Space is celebrating the two-year anniversary of the Additive Manufacturing Facility printing on board the International Space Station. During this time, AMF has additively manufactured nearly 100 individual parts for a variety of customers. NASA’s Space Technology Mission Directorate (STMD) has awarded Made In Space, Inc. (MIS) a 12-month contract extension option for its Archinaut Technology Development Project (ATDP). Archinaut is an in-space additive manufacturing and robotic assembly platform. Development of Archinaut started in 2016 under STMD’s Tipping Point solicitation. Made In Space, Inc. begins 3D printing on the ISS in a high-performance, aerospace-grade polymer, PEI/PC. This material is stronger and more heat-resistant than other 3D printed polymers, and has a wide variety of applications in space, including satellite and spacecraft design. Made In Space, Inc. celebrates a year of commercial manufacturing in space. Launched in March of 2016, the Additive Manufacturing Facility (AMF) provides on-demand manufacture of parts, tools and medical devices both for the astronauts on station, and commercial customers here on Earth. Made In Space and Israeli contemporary artist Eyal Gever collaborate to produce the first sculpted art off of Earth. Utilizaing the Made In Space Additive Manufacturing Facility, a 3D model of the sound waves from a human's laughter was 3D printed aboard the International Space Station. Motivated by universality of the expression of laughter, project #Laugh was created to remind us of the beauty of human life. 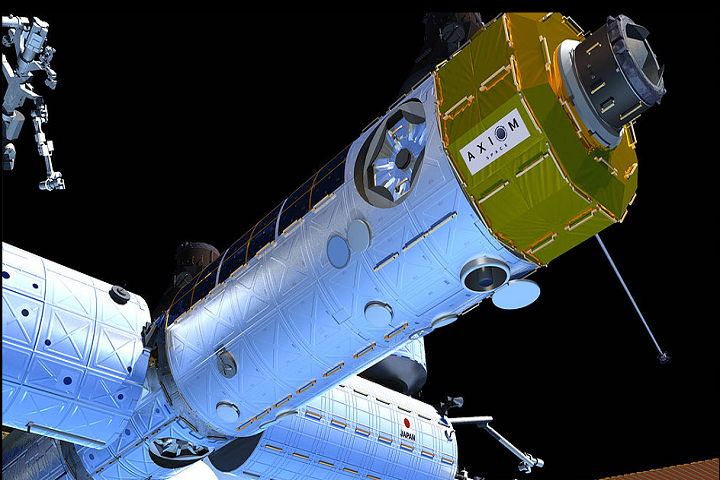 Made In Space and future private space station builders Axiom Space announce a partnership to use one another's capabilities to provide commercial manufacturing services in low Earth orbit. The two companies are also strategizing on the most efficient and effective method(s) of getting products to Earth that were manufactured on orbit. Made In Space announces plan to manufacture high value-to-mass exotic fiber optics on orbit. Using high quality preforms supplied by Thor Labs, Made In Space will leverage the properties of microgravity to create an optical fiber superior to any created on Earth.